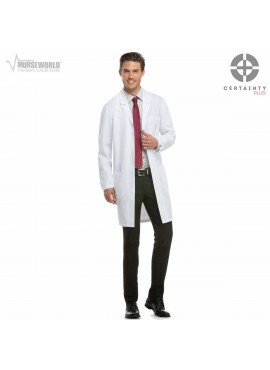 Created for male healthcare professionals, these comfortable white coats for doctors highlight the masculinity of men, with many carefully designed fit styles, so that you can choose the one that suits your build best. Lab jackets and doctor coats at Murse World are packed with the functional features necessary for you to get the job done, including instrument loops and adjustable belts, as well as spacious pockets, some of which can even accommodate a tablet or iPad. 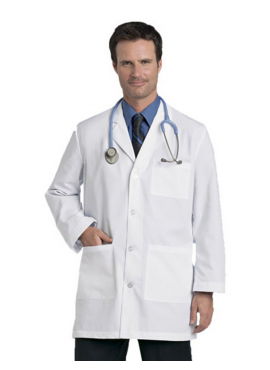 Designed by leading scrub brands such as Dickies, Landaus, & Meta, when you purchase these scrubs, you can be assured that you are investing in a quality scrub coat that will last. 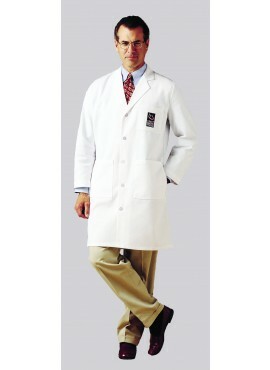 And no matter your height or body shape, you can now stand proud and tall in your crisp white lab coat. 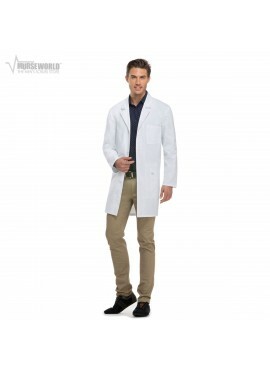 Our highly comfortable doctors’ coats are a first-class option that is sure to satisfy every male medical professional; you can look your best while still feeling great, in a crisp, neat lab coat that is crafted from a soft, comfy fabric blend. 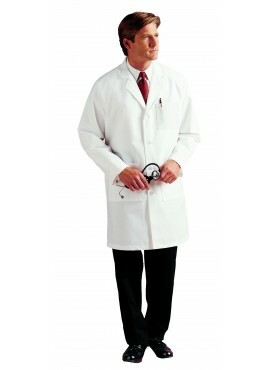 Whether you need a Consultation Antimicrobial Lab Coat, an extra-long lab jacket, or you’re looking for a posh, professional style, we have you covered. And with just the right amount of options for you to find what you need easily and quickly, you’ll be saving time for the more important things in your life, like saving lives, having fun, and spending time with family. We know what’s important to you in scrubs: Comfort, fit, function and style. 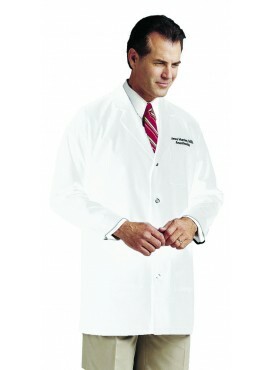 In our lab coat line, you can choose from all four, or get all four in one. 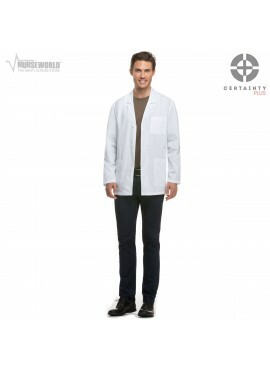 Browse our carefully curated selection of men’s lab coats and doctors’ jackets, and choose from the smart array of polished yet practical lab coats in our collection. Your satisfaction is our priority, so feel free to reach out to us with any questions and concerns and we will be glad to assist you in finding the best lab coat to suit your unique needs. Call us at 888-501-4221, and we will be happy to help!